The work of compliance continues to come out in the limelight the previous years, compliance agents were not known to the public and were very few; unlike know that they are increasingly sought for by companies and firms. As the work of the officer for compliance continues to increase, they should be ready for thorough scrutiny from SEC. CCO group’s report that their members are feeling desperate and are preparing for additional scrutiny as well as more enforcement rules this year. According to the Chief Executive Officer and founder of The Regulatory Fundamentals Group LLC, Deborah Prutzman, the regulators are not changing the work of compliance experts, but they want to meet their expectations no matter at it takes. In an interview with the president and manager of the Investment Adviser Association in Washington, Karen Barr, the tone of SEC on the investigation of agents of compliance is turning skeptical. They are not clear on what they will do. Concern are being raised on the trend of holding compliance workers responsible in situations in which agencies think things could have been handled in a different way. Andrew Ceresney, the SEC Enforcement Director, said that there is no guessing and no trend on the professional judgment of a Compliance agent. The recent compulsion should reinforce the role of the CCO by showing the importance of enough compliance resources, transparency, and cooperation within the company. Mr. Barr says that the anxiety is high and asks how one can attract the experienced and best compliance officers as it’s not good to remove qualified individuals from the profession. Unless clear rules and guidelines are put in place for investigation, the compliance managers will always look behind their back. Helane Morrison, who was formerly a director of the SEC, is the Principal, Managing Director, Chief Compliance Officer, General Counsel and a member of the Executive Committee of Hall Capital Partners LLC. Ms. Morrison studied at the Northwestern University where she had a B.S. in journalism. At the Law School, University of California at Berkeley, she acquired a J.D. Morrison is an accessional speaker of subjects related to compliance and legal issues influencing investment advisers and private capital. She is a board member of the Regional Parks Foundation and a sub-committee member of Hedge Fund. From 1999 to 2007, Helane was the Head of San Francisco Office of the U.S. Securities and Exchange Commission. 1996 to 1999, she headed the enforcement department of Sec office in San Francisco. 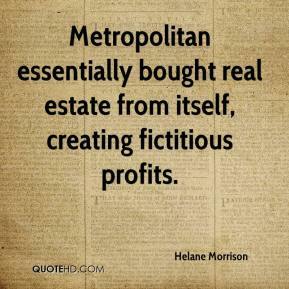 For more information about Helane Morrison connect with her on LinkedIn or visit: http://www.hallcapital.com/team/corporate/helane-l-morrison.php.